It’s a complicated story, spanning a period of 10 years in Charlotte, North Carolina. One of the dogs, Marvin, an Australian Shepherd, was good natured but played a bit rough. He accidentally bit a young girl and then had to have an identi-chip implanted before his family was allowed to have him back again. Then there was Snickers, who was in danger of being euthanized in a shelter because he had skin problems. How the two dogs came to give each other a second chance at life is an amazing tale. Most of the world’s economies are heavily dependent on petroleum. Yet environmentalists fear that oil spills are endangering earth’s ecology, both at sea and on the land. Much of the distribution of oil in North America takes place through underground pipelines, but those pipelines can leak. The resulting oil spills can cause a lot of damage. But how to detect a small leak before it becomes a big crisis? The petroleum industry has just been offered a helping hand (or nose, that is) in the form of Duke, a Labrador Retriever who has been trained to sniff out oil underground. Did you know that there has been a cat sanctuary on Parliament Hill in Ottawa for over 20 years? It even became a tourist attraction of sorts. The man who made it all possible, René Chartrand, has just died at age 92. His story and how he came to be known as “Canada’s catman,” is heartwarming. Animal sanctuary started with a dog named Bear. A few years back, Andy Parent bought a few acres of land in Kemptville, Ontario. It was to be just a place to enjoy on the weekends. Then a friend asked Andy if he would have room for a rescue dog, a large and fierce looking, part German Shepherd. The dog’s name was Bear. Andy got along fine with Bear, and soon his relationship with the animal gave him an idea about a new use for his land. Stories of animals making friends with each other show up every once and awhile. But this chummy relationship between a young Orangutan and a hound dog is one of the most remarkable and best documented you are likely to see. A video taken at T.I.G.E.R.S. (The Institute of Greatly Endangered and Rare Species) shows just how much fun these pals can have playing with each other. Stick with it! The best buddies scenes start about half way through the short video. 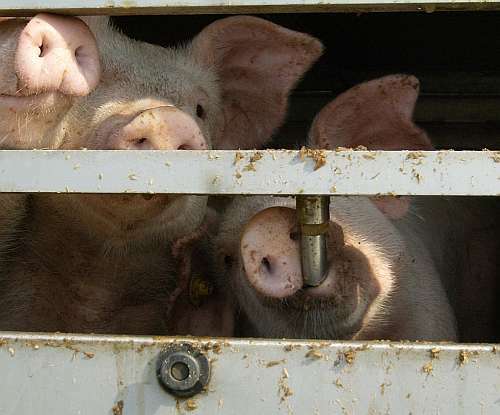 Farm animals spend a lot of time on trucks, up to 72 to hours at a time in some instances. And these are trucks without any form of climate control in the cargo area. In fact most of them have slatted sides with large openings that provide plenty of fresh air but no protection from the elements. These conditions of animal transport are especially worrisome at times like the recent Canadian deep freeze, a one-in-200-years event of arctic conditions. What can be done to provide better protection? Donkeys just don’t get enough respect. So they are often abused and neglected. Fortunately there are rescue sanctuaries for these engaging beasts, in Canada, the US, the UK and Ireland. 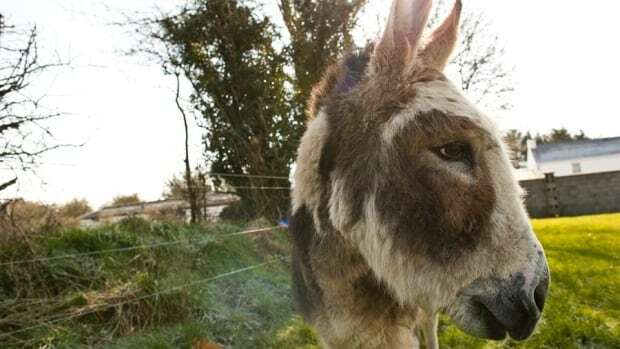 Now a recent documentary details the everyday lives and especially the complex interactions with humans of these extraordinary creatures in their sanctuary homes. What do you need to know about canine flu? First: it can make dogs sick. Second: canine flu is not dangerous to humans. Canine influenza shares some similarities with the human flu, but only dogs are made ill by it. If infected, your dog could develop a cough and have runny nose and eyes. He or she may also seem listless and less active than normal. Flu for dogs could spread here from South Korea. So you’ll want to know how serious this disease can be and what to do about it. Can you translate your dogs whimpers and barks into English? 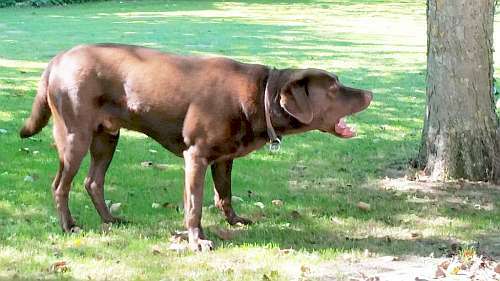 Results of a recent study suggest that many pet caregivers can do just that – understand exactly what their dogs mean by barks and growls. Women seem especially good at this. 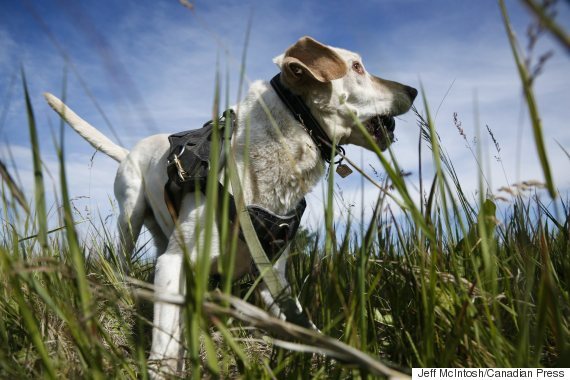 So what if science started to really work on the sounds of dog communication? Could they produce an artificial intelligence translator that would tell you exactly what your dog wanted? 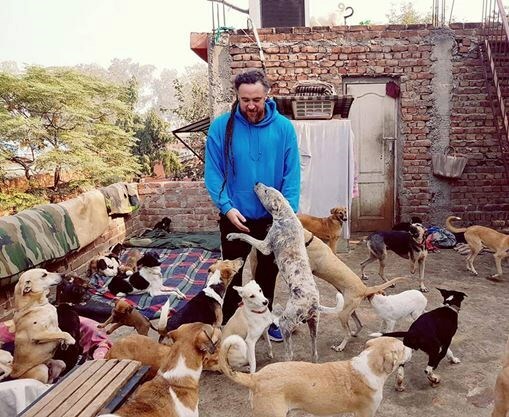 Jason Shute trains dogs in Guelph, Ontario, but recently he travelled to India to learn more about pi dogs, the street dogs of India. He spent two weeks working with local dog rescue groups in New Delhi, helping them with outreach programs. Jason was amazed to learn that not only are pi dogs friendly and sociable, they are also free of many of the behavioural problems he found with dogs in Guelph.